I’ve been doing some pretty good eating recently. It’s not as exciting as the Tokyo food, nothing is. But I’ve been having a good time! Yes, I am now one of those people who takes pictures of their food. If I have time I might try to do a recipe type thing… Did you know I’m a pretty good baker?! I am. Anyway! 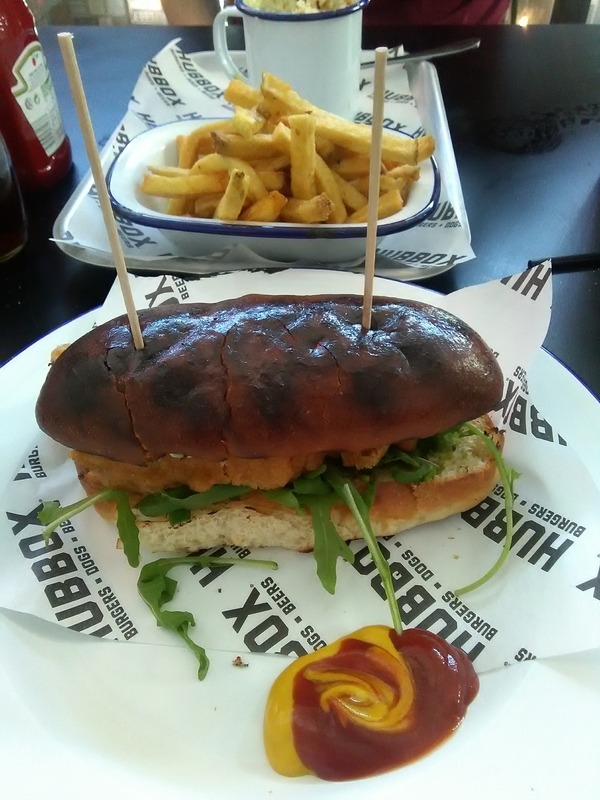 I went to Hubbox in Truro again. I got a Cornish Yo Boy, which is a fish burger. It was crispy and delicious. Also shared some Mac and Cheese and some regular fries. Pretty good. No complaints about that! 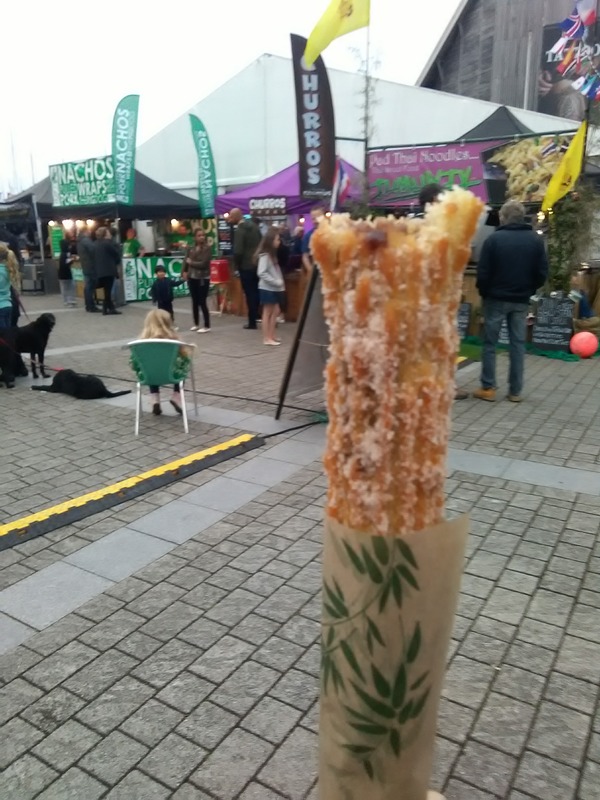 Last weekend there was a street food festival in Falmouth so I was there. Obviously! Because where there is street food there is me. I didn’t take a picture of all the food I ate, I was too busy shoving it into my gob. But here’s the stall where I ate a chocolate tiffin. 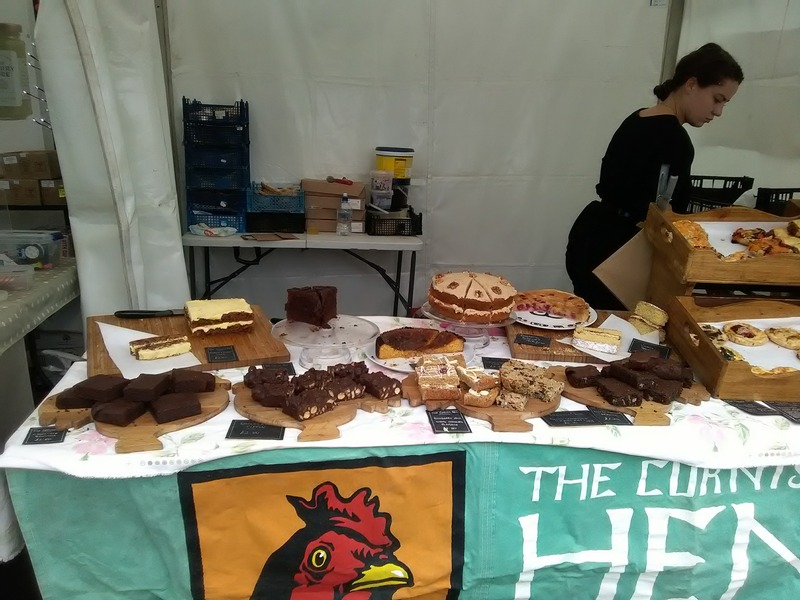 And in true me style, a blurry picture of my favourite thing at this festival. A Nutella and salted caramel filled churro. Sorry about the blurriness of the picture. 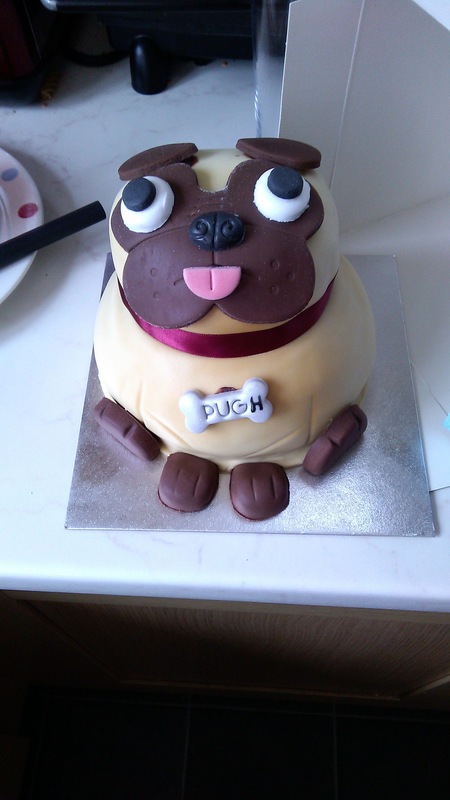 And then it was my friend’s birthday so I purchased this derpy pug cake from Asda. His surname is Pugh so I painted on an ‘H’ to make it seem like the dog is called Pugh too. It’s funny right? Right!? This might be a bit of a weird one… maybe? I needed a break from the other writing stuff, please don’t leave. Sometimes I make good content, I promise! Anyway, thanks for (loving me) reading!